Transferring your business to the next generation: Do you have a plan? Have you thought about transferring your business ownership and management to future generations? If so, you need to consider issues such as timing, retaining control after the transfer and tax consequences. Timing and control are important considerations, as you may want to continue to be involved in the business while facilitating the transition of the business management to future generations. The tax consequences of transferring assets to your children without tax planning can be very adverse, as your estate may be subject to tax on any accrued gains on the assets between the date of purchase and date of transfer as the transfer is considered a disposition. A similar situation arises upon the death of a taxpayer. These taxes may substantially reduce the amount of assets that your children will receive through your estate. One way to avoid or reduce income taxes on transitioning a business while retaining control is through the use of a trust. Contrary to popular belief, trusts are not only used by wealthy families. They are also used to transfer small to mid-size businesses. A trust is used to hold assets for the benefit of its beneficiaries. The assets are transferred to the trust by an individual who is referred to as the settlor. Trustees are appointed by the settlor and are responsible for management and administration of the assets of the trust for the benefit of the beneficiaries. It is possible that the settlor and the trustee be the same individual. The trustees, beneficiaries and other terms of the trust are put in place by the settlor via a legal document referred to as a trust deed or trust agreement. This document will also stipulate whether the trust is a “discretionary trust”, which is a trust in which the trustee has discretion in the allocation of income and capital of the trust to beneficiaries. The most common uses of a trust are to administer the estate of someone who dies (a “testamentary trust”) and to hold family assets for the benefit of the next generation (an “inter-vivos family trust”). Our discussion will focus on the benefits of using a discretionary family trust. 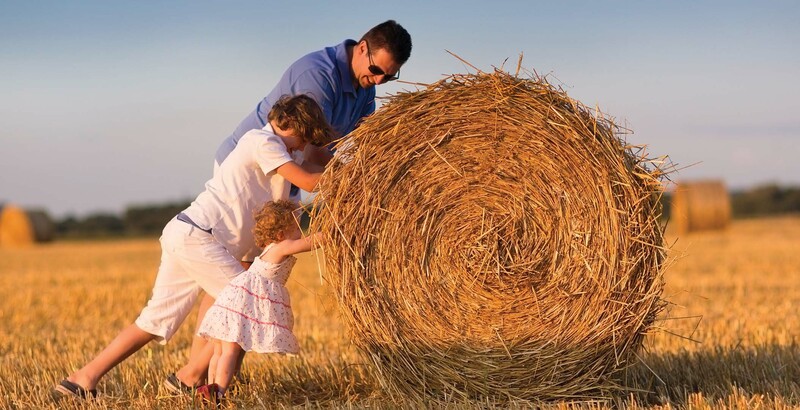 The use of a family trust can be beneficial as it can allow you to retain control and manage your business while transitioning ownership to the next generation. When used in conjunction with a tax plan called an “estate freeze”, a trust can allow you to reduce the amount of taxes paid on capital gains by your estate in the event of your death. Probate fees upon your death can also be reduced or eliminated with the use of a trust. It should be noted that trusts are deemed to have disposed of their assets every 21 years. However, further tax planning measures can be taken to avoid any related tax consequences. Income earned by the assets held in trust can be retained in the trust or allocated to the beneficiaries. Income retained in a trust is taxed at the highest marginal personal income tax rate, but can then be allocated to beneficiaries with no further tax consequences. If income is allocated directly to the beneficiaries of a trust, it is taxed only in the hands of the beneficiaries at their respective marginal personal income tax rates (unless the beneficiary is under the age of 18 – beware of “kiddie tax”). As such, tax savings can be realized when the related income is taxed in the hands of beneficiaries in low tax brackets. Although the benefits of using trusts can be quite significant, the advice of an accounting professional should be sought out due to the many complexities involved.